Phoenix provides a variety of different products to the federal government, with the ability to provide similar products to individuals and commercial customers. Phoenix prides itself in the job it does, as well as the products produced. With all production under one roof, all of the resources needed to be proficient in the product development and manufacturing setting are nearby. Engineering, Mechanics, Department Lead, Production Lead and Quality Control are all located within a few feet of the dedicated space. 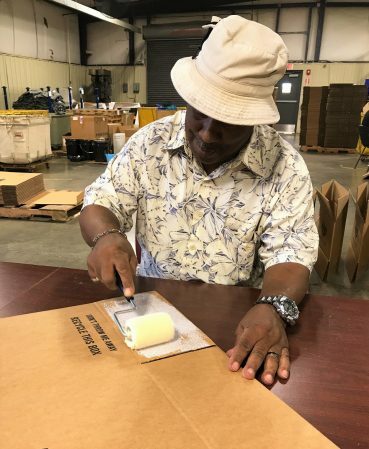 Phoenix has been providing employment opportunities to individuals with disabilities for over 40 years and is currently employing about 70 individuals in its manufacturing division. 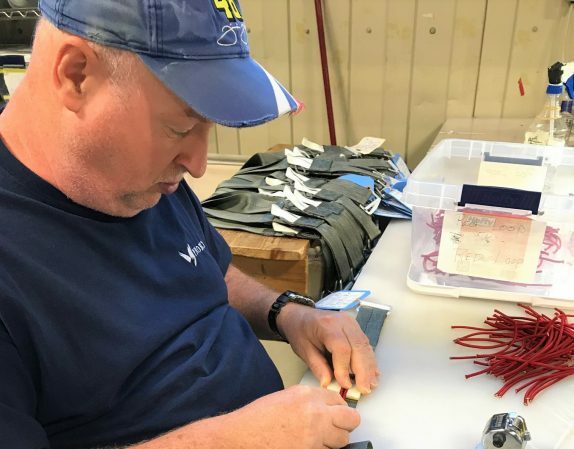 The single point release parachute harness took the place of the two-point release harness and was designed by research and development engineers at Phoenix along with a team of engineers from NATIK in 1984. Phoenix has been producing this product ever since. In manufacturing this product, Phoenix uses sewing machines that are designed especially for heavy-duty sewing of thick, rigid components that are sewn together in accordance to very tight tolerances and strict specifications. The aircraft safety belt is a life critical item and requires 100% visibility and inspection. This product is manufactured using heavy-duty industrial sewing machines. Phoenix has produced this item for 15+ years and strives to accomplish a record that is unblemished and will work diligently each day to achieve this goal. The Interment Burial Flag is constructed of 100% cotton and all components are domestic in content. 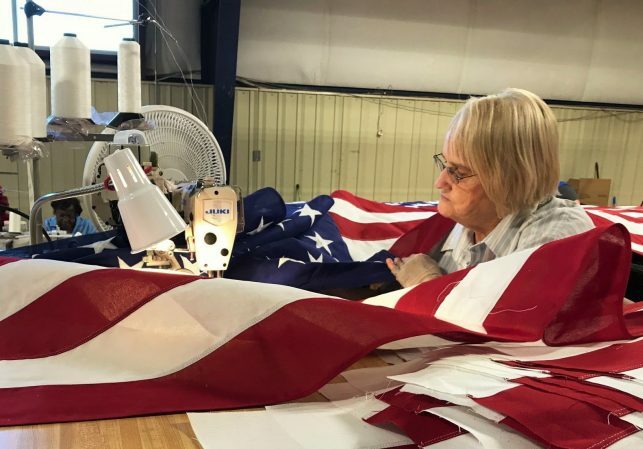 This flag is presented to each passing veteran that has served our country and with that in mind, Phoenix strives to make its construction and overall appearance and quality of the utmost importance. Phoenix has produced this flag successfully for more than 20 years, producing over 2 million flags as of May 2017. 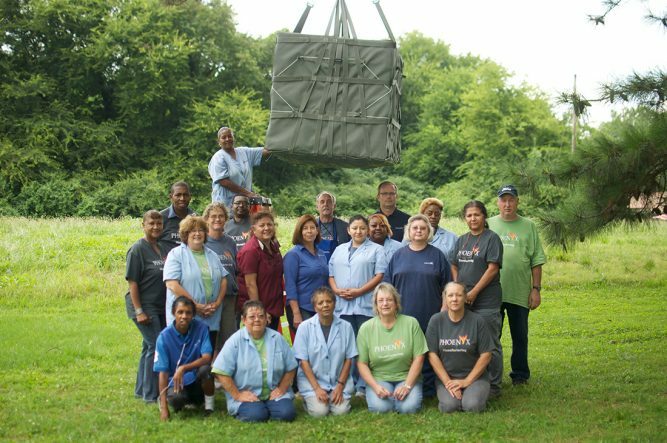 The A22 Cargo Bag is used to airdrop supplies and equipment to our deployed troops. It is an adjustable bag type container and consists of a sling, four straps with ring and a cover. It is constructed with a type 7 and a type 8 nylon webbing along with 12.5-ounce nylon duck material. 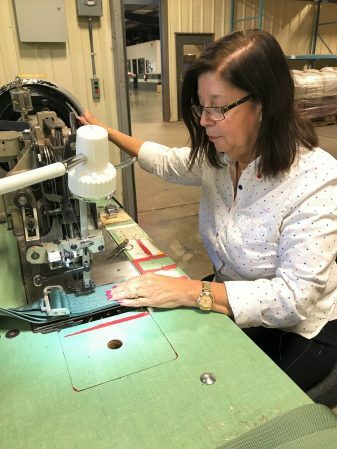 In manufacturing this product, Phoenix uses sewing machines designed especially for heavy-duty sewing of thick, tough rigid components that are sewn together in accordance to very tight tolerances and strict specifications. The A-22 Bag is sewn with thread that ranges from size 3 cord to size 6 cord bonded thread. The cost-effective, reliable assembly and packaging/kitting services we provide add value and provide the ultimate in flexibility for businesses. Our services include assembly, bagging, labeling, sealing, delivery, and warehousing if needed. We can warehouse your product until it is ready for distribution. Phoenix’s production staff can assist from concept to completion in developing and manufacturing your product, working with you to ensure that your exact requirements are met. To see how Phoenix can assist you and your organization with your needs, please submit the form below or call 256-880-0680.